Scott Young’s practice focuses on defending governmental entities and employees in civil rights disputes, commercial litigation, and insurance and transportation defense. 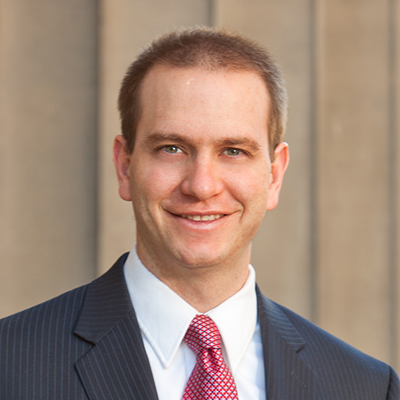 Scott also has a special focus on the statistical analysis of statutes, judges and jurisdictions for his clients. Scott studied civil rights under Professor Jack Greenberg, one of the lead attorneys in Brown v. Board of Education and other landmark civil rights cases, at Columbia Law School. His practice focuses on defending governmental entities and employees against constitutional claims. He has successfully defended excessive force, unreasonable seizure, free speech, due process, equal protection and other constitutional claims. Scott currently chairs the Utah Bar’s Constitutional Law Section and he routinely presents on constitutional issues. Scott has represented a number of businesses in complex commercial disputes. He gained an inside perspective on the issues presented by these cases while clerking in federal district court and has used this experience to successfully litigate claims in a number of commercial claims matters. Scott has significant experience defending an array of businesses and trucking companies against personal injury claims. He is highly experienced in all phases of litigation, from investigation immediately after a trucking accident, through discovery and trial. He is available 24 hours a day to handle the investigation of large scale accidents and ensure that evidence is properly preserved. Only four percent of cases actually go to trial. Ninety-six percent of the time, judges make the decisions. By applying statistical science to the analysis of available judicial decisions, Scott gives his clients a distinct edge when choosing legal strategies. Scott and his clients use this analysis to determine the tendencies of judges – such as how likely they are to grant summary judgment in certain types of cases, what kinds of evidence they find persuasive, and how long they take to render decisions – and put that information to work. For an example of this type of analysis, see Scott’s widely circulated article: Salt Lake City attorney Scott Young examines the statistical odds of success in Ferguson Civil Court Lawsuit. Additionally, Scott recently presented on this topic during the Federal Bar Association’s 2015 Annual Convention. Here is an abbreviated version of his engaging PowerPoint discussion: Money ball takes the bench: A statistical analysis of Utah’s Governmental Immunity Act. Scott is an established author for the Civil Rights Section of the Federal Bar Association. Obtained jury verdict for police officer in an excessive force case stemming from an officer-involved shooting. Obtained summary judgment for a police officer and department in excessive force case stemming from a police dog bite. Obtained summary judgment (affirmed by Tenth Circuit) on due process and equal protection claims related to water rights. Obtained summary judgment (affirmed by Tenth Circuit) on due process claims against state doctor. Successfully represented minority high school student in discrimination claim against school district. Obtained judgment in bench trial for disaster clean-up company in claim for breach of contract and cross-claim for defective services. Obtained judgment in bench trial for insurer seeking reimbursement for misuse of funds by employee. Negotiated successful resolution to breach of contract claim against computer engineer related to design of a roller-coaster. Obtained summary judgment for laundry manufacturer in defective product claim. Obtained directed verdict and judgment in bench trial for false arrest of shoplifter. Successfully mediated claims and negotiated settlements for multiple large trucking companies. Scott enjoys travel and endurance sports. He has lived in Florence, Rome, Naples, and Jerusalem. He has hitchhiked through the Palestinian territories, hiked in Ethiopia, and biked throughout Tuscany. He is an Ironman triathlete, has completed the Boston (twice), New York and Athens marathons, and has cycled around the Sea of Galilee.